LA Coca Cola Bottle – The Home of My "Big Things"
After visiting The Broad and having lunch at downtown’s Grand Central Market we were on our way to the Fashion District for a little shopping. 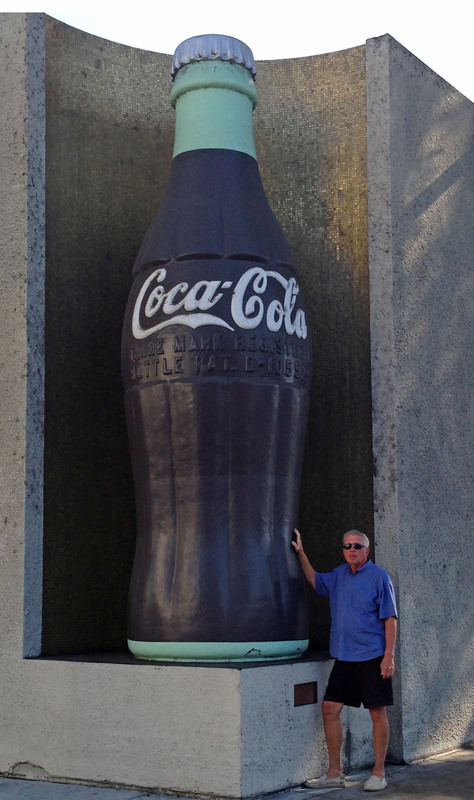 Along the way we passed the LA Coca Cola bottling plant and what did we spot but these decorative Big Coke bottles. Had to stop and grab an image.